In this simulation, students will be active participants in solving a mystery. Why are the villagers getting sick? Your download contains the presentation to facilitate the simulation and guide discussion. Handouts and role playing briefs are included. 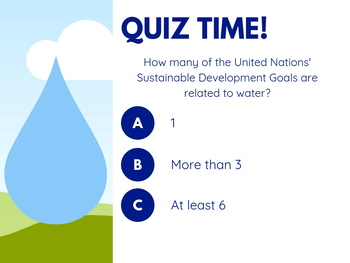 Introduce students to advanced topics such as the United Nations and the Sustainable Development Goals on an age-appropriate level while having fun! Go deeper on your own and get interdisciplinary by including math (what percentage of the world practices open defecation?) 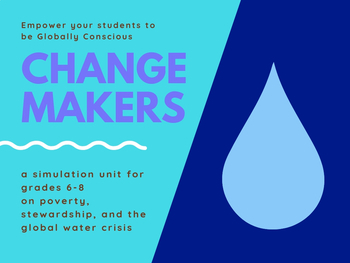 geography (locate all the Least Developed Countries on a map), English/Language Arts (develop a written proposal asking a local foundation to purchase water filters for the village), and technology (develop a social media campaign to inform your community about the global water crisis.